Suitable from birth. Lie-flat recline. Adjustable footrest. One-hand compact fold. Freestanding when folded. 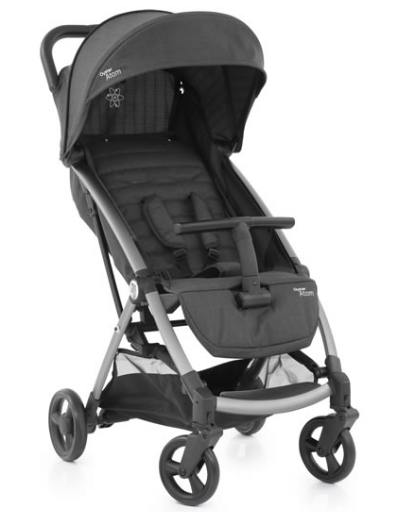 Spacious padded lie-flat seat with 5-point padded harness. 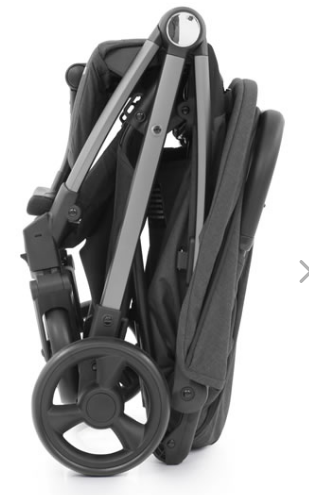 Lockable swivel front wheels. All-round suspension. Flip-out sun visor. Raincover included. One handed compact fold. 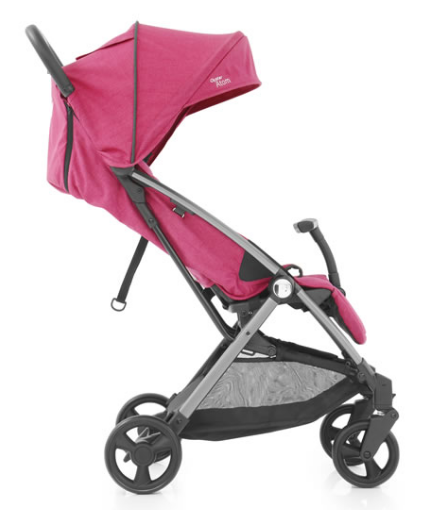 Lockable swivel front-wheels as well as all-round suspension.